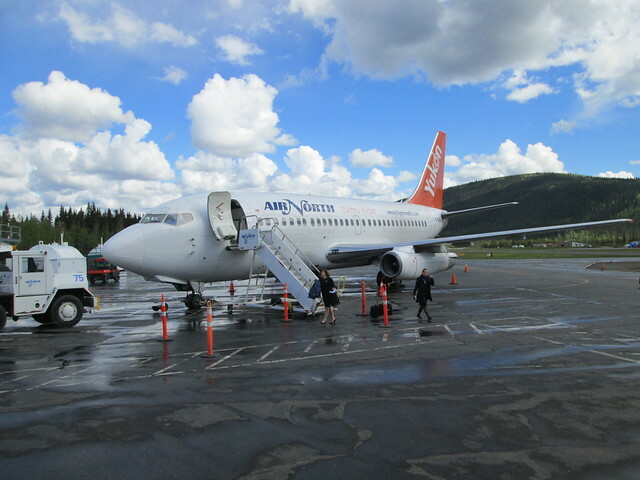 We left Fairbanks by chartered AirNorth plane to Dawson – where the airport still has a gravel runway. Apparently, funds have now been found to blacktop it soon. 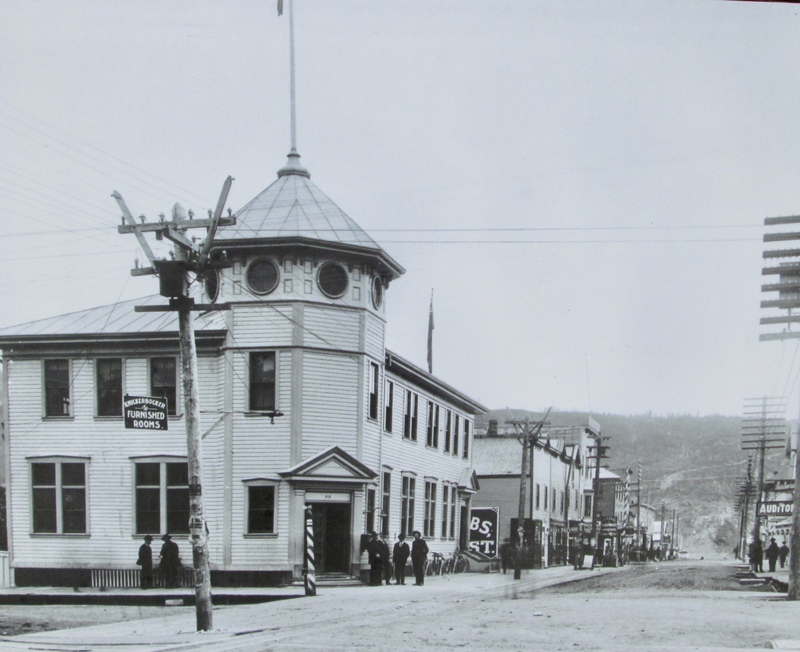 Dawson City was created by the gold rush in 1898. 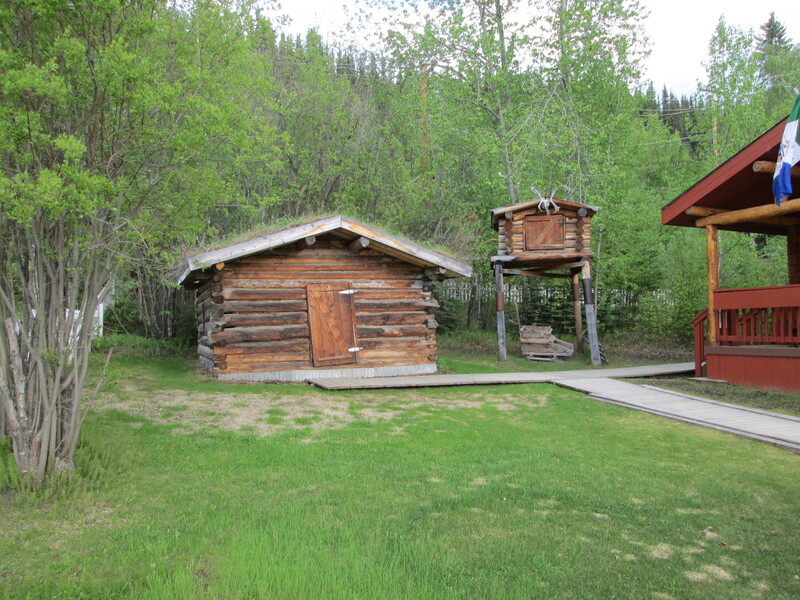 Quite a lot of the city has been preserved and restored by Parks Canada, but the entire red light light district, on the other side of the Klondike river known as Klondike City has vanished. I spent quite a bit of time wandering around photographing the old buildings, so I am going to try something a bit different in this post. I going to put each of my pictures next to one from Parks archives. 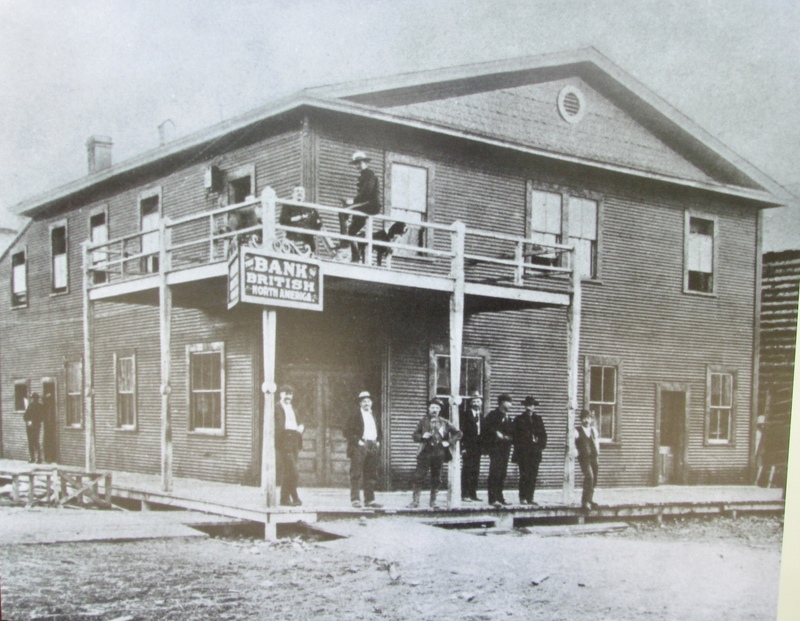 The Bank of North America was the first to open in Dawson in 1898 – originally in a tent. 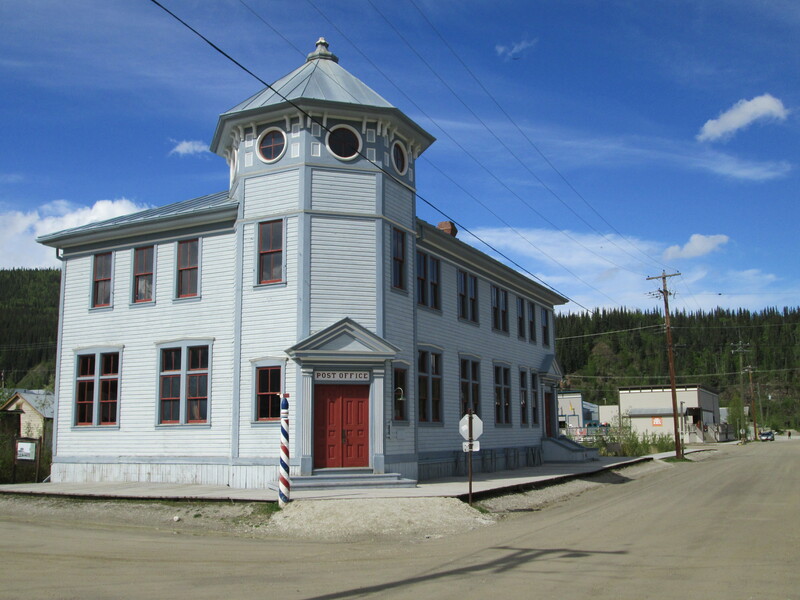 It became the Bank of Montreal in 1918 and closed in 1968 when the last gold dredge closed. 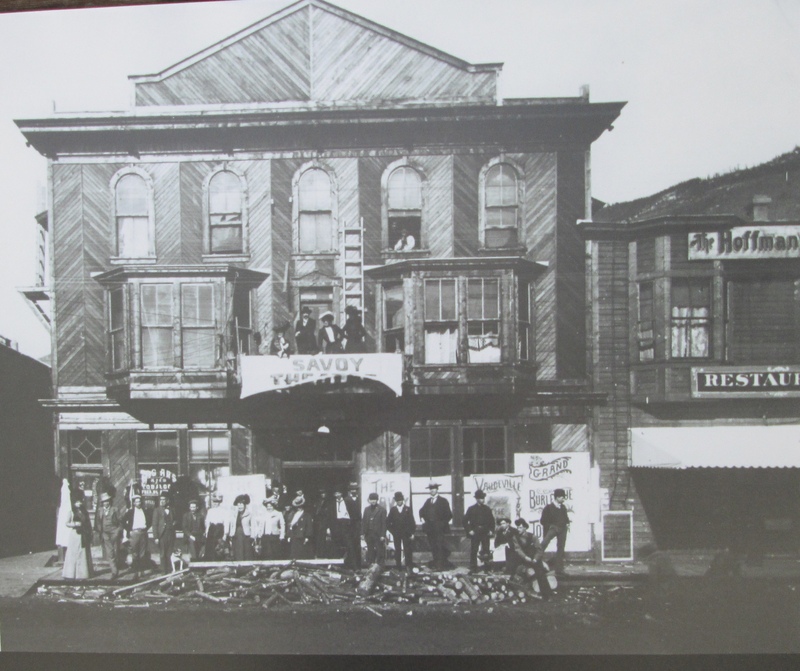 The Palace Grand Theatre (top) opened in 1899 and was hugely successful. It was originally restored in the 1960s with Bert Lahr (the cowardly lion in the “Wizard of Oz”) as the headliner. It has recently undergone two years of careful restoration using original pictures and drawings. It was not open when I got there but a power cut the previous and triggered the fire curtain, and someone had to come and fix it. A very nice Parks employee allowed me to get access and wander around on my own. On the bottom row is the imposing Post Office – you will note that buildings next door have all gone. There is considerable loss due to the severe winters weather, and melting permafrost under the buildings causing unstable foundations. The post office is still operating, but from another more prosaic structure around the corner. 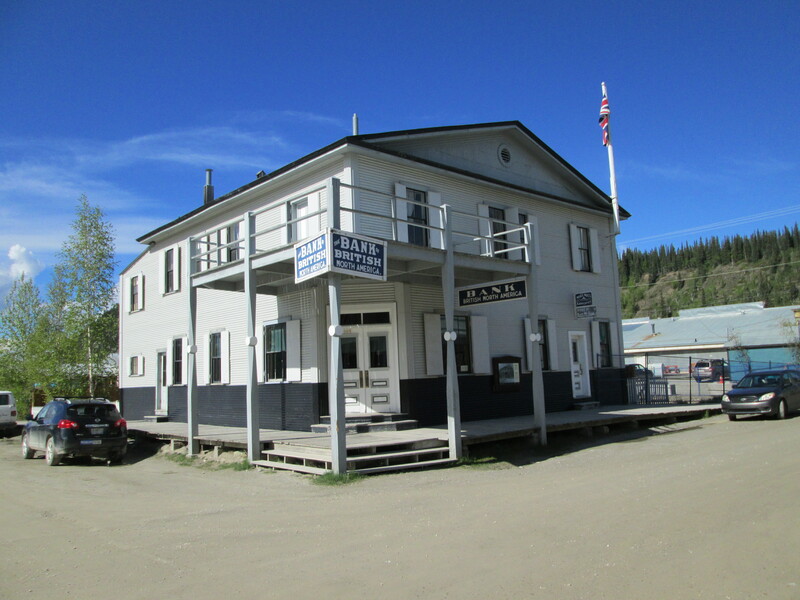 Next door to the new Post Office is the office of the Dawson Daily News. Once again we got lucky as that weekend a art show was being installed in the building, and we were shown around by the organizer (another slide show opportunity). My late brother was a printer and would have greatly enjoyed seeing the collection of old presses. Some of the buildings on the edge of town have become tourist attractions in their own right. 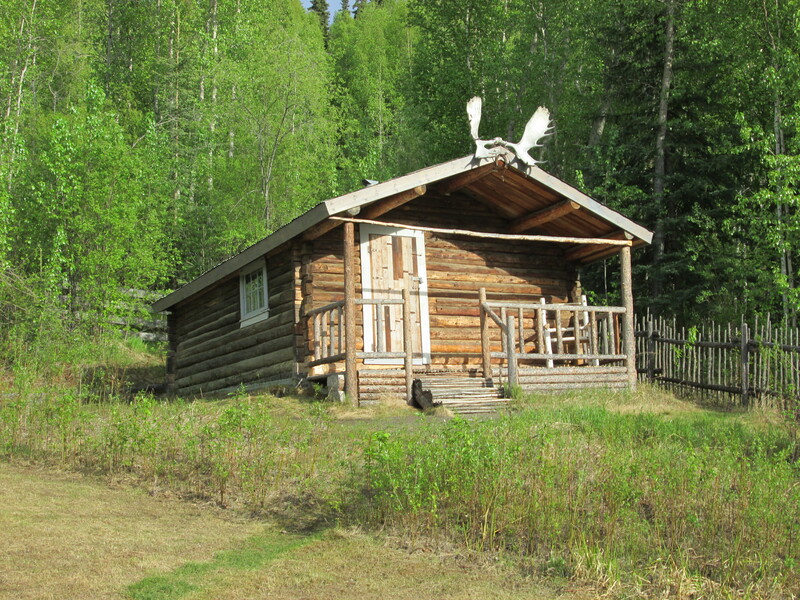 The cabins of Robert Service and Jack London (with his cache for storing food out of the way of bears), as well as the former home of media personality Pierre Berton. 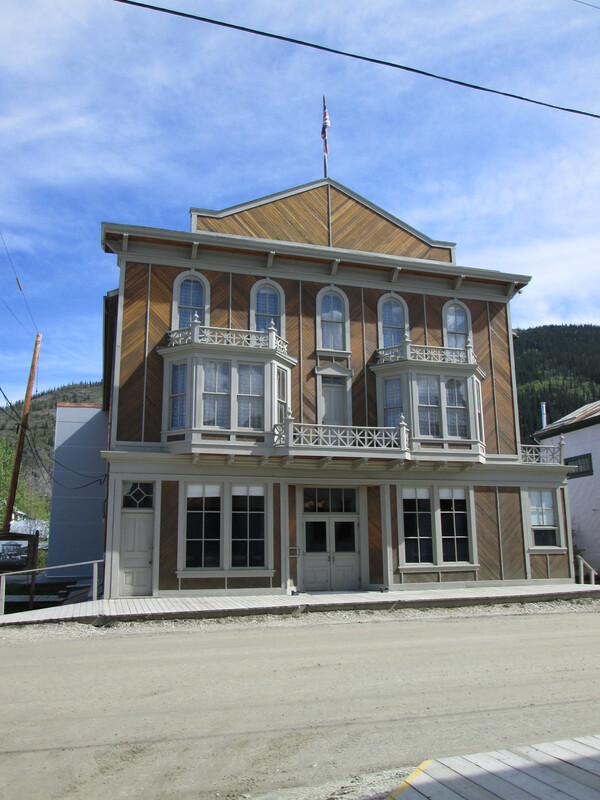 Jack London did not spend very long in Dawson City but he turned his experience into a series of very successful short stories, many of which became movies which are memorialized in a bar bearing his name in the Downtown Hotel. St Andrew’s Presbyterian Church and manse were built in 1901 after the first one burned down. The presbyterians joined with the methodists to form the United Church in 1925, and this church closed in 1932. The manse is still in use as staff housing for Parks Canada – who own both buildings, so perhaps there is some hope for their rehabilitation. 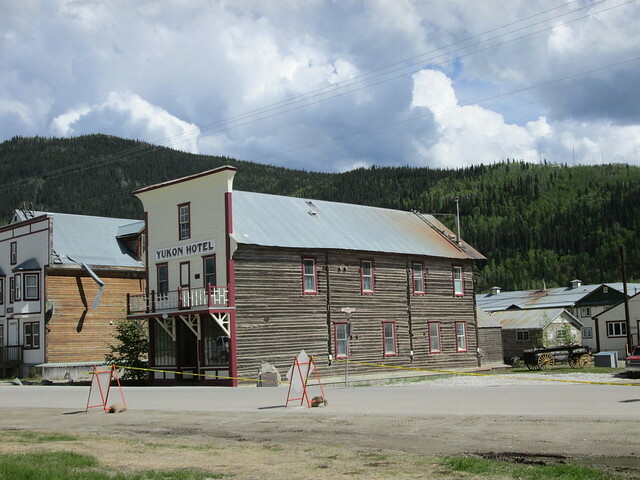 The Yukon Hotel is one of the oldest remaining buildings in Dawson City. 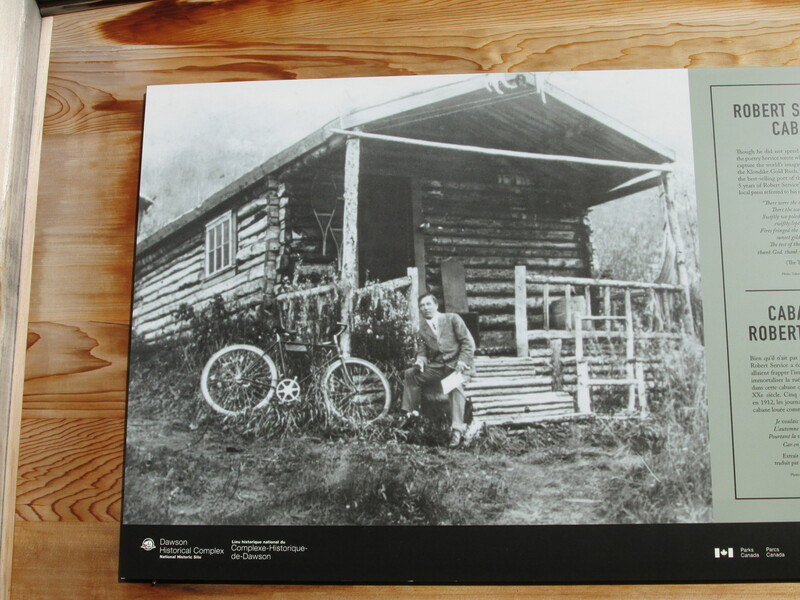 This two storey log building was constructed in 1898 by J.E.Binet and was known as the Binet Block. Originally offices, it became a hotel in 1909 and operated [under different names] until 1957. 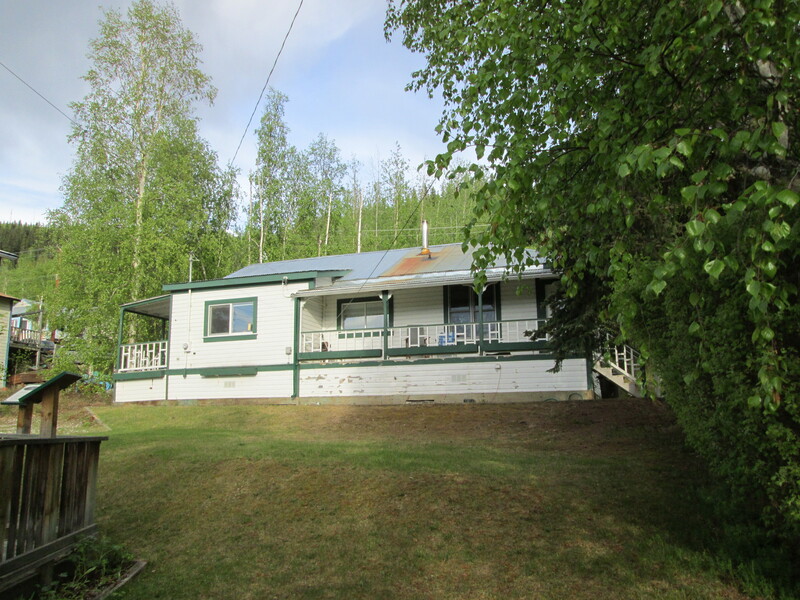 It is now rented out as bachelor suites.